KAMPALA – The United Nations Capital Development Funds (UNCDF) Clean start programme together with the Embassy of Sweden has announced the eight winners of the Renewable Energy Challenge Fund (RECF) solar window and promised to give them financial support. This investment will see 200,000 people benefit from the energy solutions with more than 7,000 farmers, shop vendors and schools take part. UNCDF has been getting involved in marketing through sharing the call with more than 400 solar companies and stakeholders that have interest in promoting solar power solutions. It has also been speaking with more than 25 companies. Among the winners of the RECF include the Grow fast Uganda by Azuri Technologies Ltd, PAY-N-PUMP by Aptech Africa Ltd, Solar Milling Machine by Power Trust Uganda Limited and Solar-powered, PAYGO refrigerators for Uganda homes and MSMES by M-KOPA solar Uganda Limited. Other companies include Lending to high-quality PAYGO solar product distributor portfolio in Uganda by Venture South Uganda Limited, Accessible and Affordable PAYGO solar services in Uganda by Greenlight Planet Uganda Limited. The also include PAYGO Custom Solar Installations for Rural Businesses, Institutions and Agriculture by Village Energy LLC, Extending Off-grid Solar Energy to Ssese Islands Fishing Industry’s Cold Chain by GRS Commodities Limited. 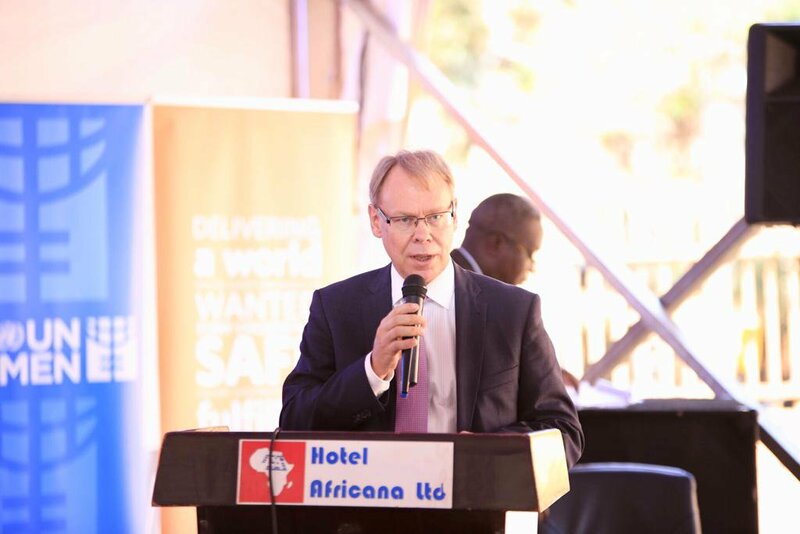 The Swedish Ambassador to Uganda, H.E Per Lindgarde, said Sweden is ready to provide support to these energy companies in Uganda. “Sweden has committed to support energy development globally and regionally through several programs. Sweden’s development cooperation strategy for 2018-2023 highlights increased renewable energy and energy efficiency as one of our priority areas for support in Uganda,” he said. Mr. Lindgarde added that the logic behind Sweden’s partnership with UNCDF through the CleanStart project is that their “cooperation can be catalytic in the renewable energy sector by de-risking and enabling scaling-up business models that benefit communities”. However, Mr. Vincent Wierda, the UNCDF Cleanstart programme manager, said that UNCDF will help to fund various sectors in order to bring about development and improved standards of living.